Unlike many schools and colleges, whose courses last two to three years, our fulltime and bespoke provision intensively teach you in less time. Thus saving you the associated living costs and lost earnings associated with undertaking a longer college course, thus enabling you to realise your ambitions sooner. Our courses are taught by award winning master craftsman, leading furniture designers, C.A.D 2D and 3D specialists, and our qualified higher education lecturer in design theory and business skills. Using our extensive contacts within the furniture making industry, we augment our courses by organising field trips to sawmills, timber merchants, customers, commercial bespoke furniture producers, allied trades, design exhibitions and galleries and related industry venues. Do we accept international students on our furniture making course? Yes! Our previous students have joined us from countries including: America, South Korea, Canada, Puerto Rico, South Africa, Thailand, Spain, and France. International students should note that our school is not Tier 4 registered and that our courses are un-certificated. Previous International students have come to the course from Commonwealth countries on the Tier 5 Youth Mobility Scheme. Other international students ask us to split their course into smaller blocks, and in this way, they have chosen to attend the school as a leisure course while visiting the UK on a tourist visa. We recommend that International students visit the Gov.UK Visa and Immigration website for further information on visas before looking to enrol on a course. If you would like to enquire about splitting your course into smaller blocks, please feel free to contact our Student Support Coordinator on enquiries@williamsandcleal.co.uk. We would also recommend the International students research their eligibility for opening up bank accounts and obtaining car insurance for their period of stay in the UK – prior to enrolling on course. Our Student Support Coordinator has more information on these life logistics for study and is happy to share our knowledge of how previous International students have overcome issues. Can I apply with no design or making experience? Yes. 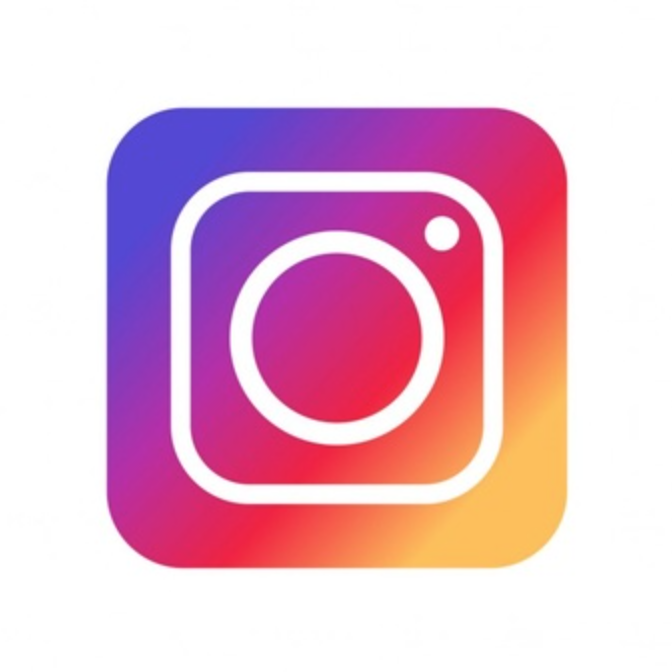 We start with the basics and then match our content to you. For students with slightly more experience you can be fast tracked or you may also choose to go back to basics, to learn new techniques, break ‘bad habits’ or just reassure yourself things are ‘right’. We follow a comprehensive syllabus, but we are not bound to it. We can tailor your course content to best reflect your areas of interest and required depth. Our design sessions will not only cover how to draw, but you will also you be encouraged to explore and develop your own design identity, improve your ability to 'see', critique your work and the work of others and also produce presentation drawings for yourself and potential clients. Subject to availability you can start anytime during the year. With low student numbers and tailored programmes you will not impact on anyone else’s learning, and only gain from seeing others at all stages of their journey. As a previously qualified higher education lecturer teaching to degree level, and partner of the highly successful bespoke furniture company Williams and Cleal, Jane has an all-encompassing experience of entry routes into the furniture making industry, and thus the best content and structure needed for the courses at Williams and Cleal. In terms of qualifications for employment, although they undoubtedly have their place, in the furniture making industry, there are often less importance when compared to real tangible cabinetmaking experience. Bespoke furniture companies will look to the reputation of the school and your portfolio of work, to assess your skill level, quality of work, diversity of woodworking knowledge and the scope of your designs. Compared to qualifications, a great portfolio of work can be a more powerful tool in securing employment. As such our courses are uncertificated, which also gives us the freedom to track our course content in line with industry developments and the individual interests of our students. How many students do you have at any one time? I am very pleased to say that we restrict student numbers. We operate with around 5 to 8 students. As you can imagine this gives you a really good student to tutor ratio, and we are therefore able to work very closely to match individual needs. What is the age range and background of the students? We can accommodate anyone 16 years and over. In recent years we have taught students from all over the world, and in this regard you could call us an international school. We have also taught school leavers looking for work, mature students pursuing a career change, those wishing to set up in business and mature and retired students pursuing their own personal development. Course attendance-how do I take time of? Our course has a built in flexibility that naturally accommodates sick days, special occasions, holidays, appointments and unforeseen circumstances. For our long course, you have 200 days in total, to be used within a calendar year of your start date. This gives you plenty of room to accommodate planned or unplanned days off without losing valuable days from your course. With our bespoke programmes, we are also happy to accommodate sick days, or days off for special circumstances on which notice is given, and availability allowing, we will extend your course date accordingly to ensure that you don’t lose days. If you should be unfortunate enough to suffer a prolonged period of illness, then on a case by case basis, we can in principle, just extend the period in which you need to take your 200 days. When do we take holidays? We close for two weeks over Christmas. We also ask our full time students to take a well-deserved break for one week just prior to the onset of Spring (usually February) and one week in the summer (usually August), when we run our one week course. Early notice will be given of these dates. In situations where our one week course isn’t fully subscribed and bench space is available, our full time students will always be welcome to use the time for their practical work or design sessions instead of taking the week off. The workshop is open from 8am until 6pm every week day. Tutored hours are 9am to 5pm and is thus a very intensive experience. Here at Williams and Cleal, we do not open the workshop 24/7. We feel that your evenings and weekends can be used productively to support your development in other areas. It is important to have time away from the workshop to carry out associated subjects including research on your projects, your design ideas, drawing, commercial process etc. Where will I live, how will I get to the workshop and what will I do in my spare time? There are a number of properties for rent in nearby villages or in Taunton. Typically this can cost around £250 to £600 per month, plus food and utility bills. Our Student Support Coordinator is on hand to help organise your accommodation if you wish. Most of our students opt to come by car. We are situated approximately 3 miles away from our nearest village. We also have students who cycle to the workshop. There is lots to do in the local area. Not only are we close to the thriving town of Taunton, but we are also located at the foot of the Quantock hills. How are the fees paid and how can I help finance the course? In order to secure your place there is a non-refundable deposit of £2,480. On the first day of the course we will then require a further £8268. The balance of £5,788 is due in the first day of the 21st week. See our Funding for Furniture and Woodworking Courses page. I am pleased to say we do both and more! It is so important to use the appropriate medium and to have a varied range of skills at your disposal. All design work undertaken by Williams and Cleal furniture starts with pencil sketching. You will be encouraged to keep a sketch book to help you develop creativity. We also can teach you a range of computer packages to draw up your designs in CAD. This can have numerous benefits. It enables you to document, amend and print out your designs far easier, and if you want to get involved with CNC machining or perhaps laser cutting veneer, CAD is essential. tools, timber and materials costs? It is not necessary to have your own tools before starting the course. You are welcome to come here and ‘try before you buy’ the range of tools and makes that we have at the school. You should budget for the cost of your own hand tools and materials for further projects; and all of our students can benefit from a student discount rate on tool purchases from several suppliers. We supply the materials for the initial set projects on the course, but you will need to budget for materials for your further projects and designs. We do keep a stock of timber and veneer at the school, which students are free to browse when deciding on which materials to use for their projects. If students wish they can also purchase these materials, but they are under no obligation to buy from our stock – students are free to buy from any supplier they like. As part of our field trips for the course, we will take you to veneer merchants and timber yards and teach you what to look for in selecting the best materials - because this is essential for you to know. In the workshop are there 'set' projects and when will I be able to make my own designs? In order for us to make sure that all the essential hand, tool and machining skills are covered we ask students to produce three set pieces. These can always be negotiated, subject to previous experiences and a clear understanding of which processes are important to you. As an illustration in the gallery you can see examples of the set projects a puzzle, a box and a small table with a drawer. After these depending on the size and complexity we anticipate you should be able to complete a further two to five pieces to your own design/brief. Can I take on commissions whilst on the course? If appropriate we encourage students to undertake their own commissions from clients. Many find this a valuable experience and also a way of contributing towards course fees. Our syllabus includes guiding you through the professional process of pitching for a commission, taking a brief, planning and developing your designs, and presenting your work to a client. What happens if I need to move my course dates or cancel my course? Assuming we have availability, we are happy to accommodate any changes to course dates. If you need to cancel your course, please let us know immediately so that we might make your place available to other students. Cancellations made less than four weeks before your start date can incur a liability for payment of the full fee. In circumstances beyond our control, we reserve the right to cancel or change course start dates. Am I too old to re-train as a cabinetmaker? You are never too old to learn the skills to become a cabinetmaker/furniture designer. In terms of getting employment or starting your own furniture business; workshops and clients will judge you based on the quality and scope of your work. This is why we focus on developing your portfolio during your time on our courses, so that you have a number of pieces to showcase. For our older career change students one of the biggest obstacles initially might be working for ostensibly entry-level wages, either in a commercial workshop or while you are growing your new business. It is possible to make a living, but to grow a successful business or compete for top maker/designer roles requires hard work. Does the course involve working on commercial pieces or using commercial process? We do not expect students to produce our commercial furniture, but we are happy to share all aspects of it with them from the initial design/costing, making, right through to the finishing. Students have the opportunity to broader their knowledge of the industry. This can include projects incorporating digital technology or batch production. In the past students have also accompanied Justin on site to learn all about 'fitted work'. These range of skills are almost never taught as part of a traditional furniture course, but as you can imagine may turn out to be extremely beneficial. Do past students stay in touch and what do they do when they leave? We actively encourage students to stay in touch, to share experiences, ask questions, gain valuable advice and support, often in relation to starting up a new business, looking for work, or to discuss a furniture project. We also like to tell everyone what has been happening at Williams and Cleal. You are also encouraged to come back and visit us in the workshop and it has been known for us to visit you as well. Take a look at our student profile page to give you a full picture of the types of things students have gone on to do. Finding a job as a maker after the course? Williams and Cleal have longstanding links with several leading bespoke furniture companies, medium to small furniture workshops, apprentice schemes and individual makers. 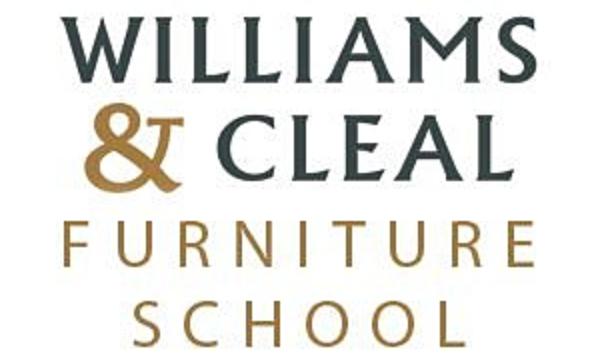 These companies hold the Williams and Cleal Furniture school in high regard, and as such often headhunt talented students from our course to fill cabinetmaker vacancies. Some employers have also sent their apprentices to be trained at our school, and other students have completed work experience placements that have led straight into employment. You can read more about what employers think of our school here. We are keen to stress that there is never any guarantee of finding employment on the completion of your course, but we will work with you on CV preparation, applications and interview techniques to give you the best possible introduction to the industry. Working for somebody else isn’t always of interest to everybody, some wish to start their own furniture making business. With over 27 years of running a successful furniture business, Jane Cleal will tutor you through all aspects of starting, running and growing your own business. With Jane’s guidance, many of our past students are now running their own successful furniture companies and have won nominations with the Crafts Council’s Hothouse programme to further grow their business. Read our case studies detailing our students now running their own business. We have a fully equipped incubation workshop, which we rent out at low cost to our graduates. Only a few miles away from the school, graduates can continue to benefit from the advice and encouragement of our tutors.